SFC Partner Spotlight ~ Stella’s Socks! 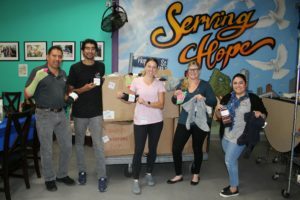 Thanks to our new partnership with Stella’s Socks, we are keeping up with the demand for our shower program for our homeless guests with their generous sock donations! In January, Stella’s Socks donated a total of 1,750 pairs of men’s and women’s socks, and yesterday, they donated an additional 2,000 socks! 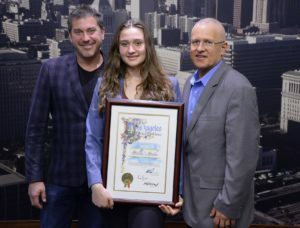 Stella’s Socks is a nonprofit organization, started by 8th-grader, Stella Verk, and her dad, Jonathan, that delivers socks to over 100k homeless and homeless youth in the Los Angeles area. Started in 2017, Stella and Jonathan spent Sundays volunteering in a local shelter, making lunches for the homeless in Santa Monica. Stella noticed that the guests coming in didn’t have socks, so she asked her dad if they could buy socks for them. Her dad said it would be a one-time fix, and asked her to brainstorm another way that she could help the homeless get socks. And so began Stella’s Socks! We are so grateful for Stella’s Socks’ support of our shower program. Regular access to our shower program helps improve the overall health of our homeless guests – just one way we’re working hard to serve hope to our community! Find out more at www.sfcla.org! Help support our shower program! SFC staff members with Emmy Marino, Operations Coordinator of Stella’s Socks! We still have an urgent need for men’s/women’s underwear of all sizes! 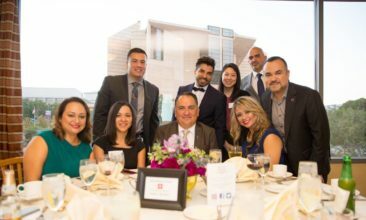 Contact the Development Department (213.747.5347 x 100, development@sfcla.org) to donate! Join the Homeless for the Holidays 5K! SFC Summer Campers Go to Bob Waldorf!